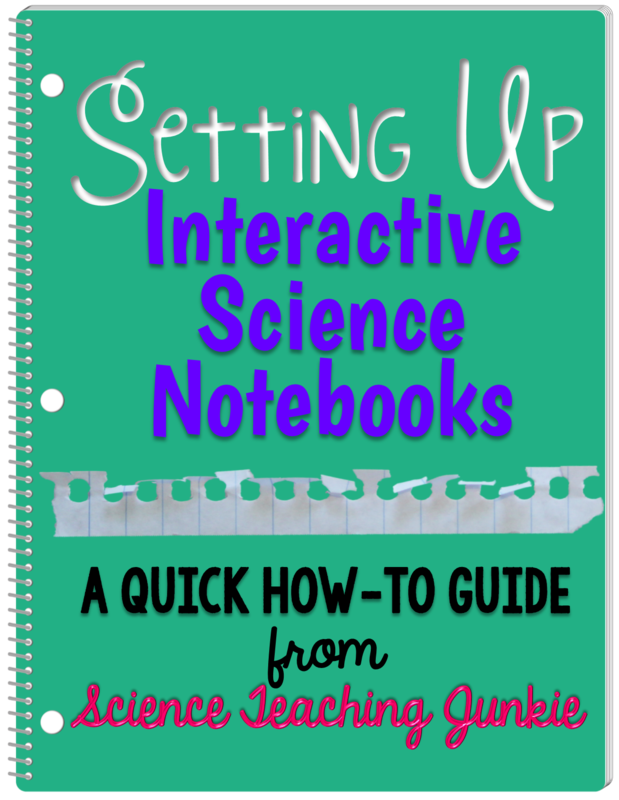 I've had MANY requests and questions from customers and blog followers about how I set up my interactive science notebooks. Although I know this is not fancy at all, I did a quick video on my iphone and uploaded it so that all those people heading back to school can see how I set them up before they start the new school year. Side Note: I apologize for my crazy camera holding skills. I was just talking and filming with my iphone using one hand. You may need to pop a few Dramamine's first! I ALWAYS make my own ISN each school year, so that it matches what the students have exactly. I don't always take the notes that my students do, or complete the labs, booklets, handouts, foldables, etc... but I make sure that I glue them in on the correct pages. I cannot stress how important it is to make sure that all notebooks are the same (you'll see why on #4 below). I've even blown up the Table of Contents pages to a poster size so that I can laminate it and title each page, just like the students do. This not only serves to keep everyone on the same page, but it is also helpful when a student misses class - they know where to go to find out what goes where. Giving students a chance to reflect on their learning is really one of the key components to interactive notebooks - one that a lot of teachers leave out, simply because I think they aren't really sure how to do it. I've created 2 different products that would be great for this: Admit and Exit Tickets and Admit and Exit Tickets Too! Because I teach 8th grade (a tested year for the state), I have to not only teach the 8th grade content, but make sure that I review the content my students learned in both 6th and 7th grades (because a small amount of this material will show up on the test.) A very easy way to implement this reviewing of previous concepts can be done with short daily warm-ups. I am working on an entire series of daily warm-ups to cover all of the middle school content and I currently have 2 of the 4 products completed. 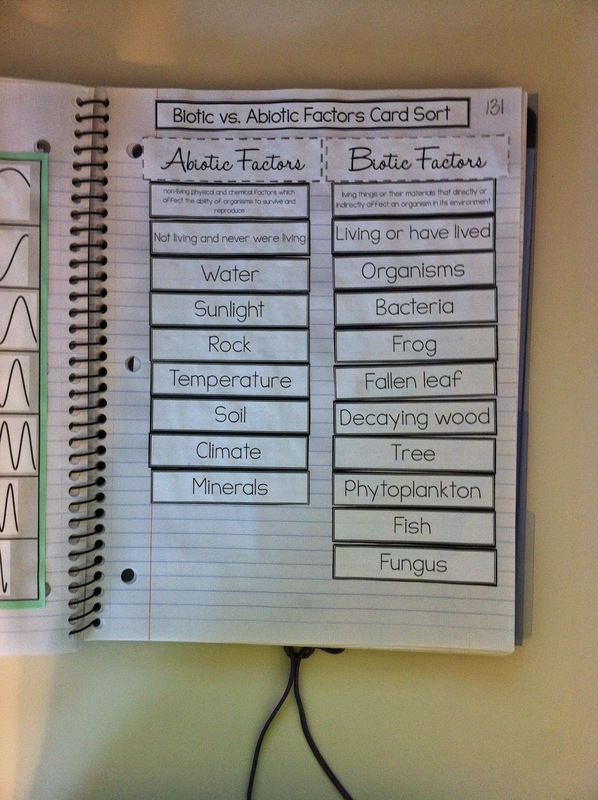 To check out the Daily Science Starters for Middle School CLICK HERE. I created these to be glued into the ISN as flaps, so that an entire week of warm-ups could be glued onto one page of the notebook. How do I grade the interactive notebooks? I've tried many different things over the years, but I've found what works best for me is an ISN Quiz at the end of each grading cycle. Since everyone should have the same exact information on the exact same page, I create a short 10 question quiz that asks very detailed questions about material that I would expect to be in theri notebooks. These are typically questions that couldn't be answered without the student looking directly at the notebook they created. For example, a question might be "On page 33 of your notebook, what word is in the 6th blank that you filled in?" This just checks to make sure that the right thing is glued on page 33, they were actively and correctly filling in their notes in class as I was teaching, and they carefully read and followed directions. If they don't have the correct word as the answer, then I know they didn't do one of those 3 things correctly. No staples in the notebook (glue only - scotch tape on occasion). No markers in the notebook. I encourage students to use color (as it can help them organize information and ultimately help them learn), but only with colored pencils or crayons. We number ALL of the pages in the top corner at the beginning of the year. Therefore, students are NEVER allowed to tear pages out of their notebooks. This will cause all of their page numbers to be messed up. If you run out of room on a page, continue your writing on a separate sheet of notebook paper or blank white printer paper and glue it to the bottom of the notebook page (to extend the page further). This extension can be folded up and into the notebook so that it doesn't hang out. Students many NEVER just continue onto another page in their notebooks. This will cause them to be "off" from the rest of the class. Before setting up our notebooks, I explain why and how we use the notebooks with a PowerPoint. To view this PowerPoint, download it HERE from GoogleDocs. To see all of my Interactive Notebook Products, CLICK HERE. 6" X 9" envelope I use for storage of small pieces of paper can be found HERE. To check out my FAVORITE glue bottle cap (perfect for these notebooks) check out my previous blog post HERE. Vocabulary Cards (term in the middle, definition on left flap, image on right flap) Everything folds up nicely on one page allowing you to glue up to 8 terms on a page. Don't be afraid to glue and fold multiple things on a page that are related. Be creative! Thanks so much for this post. 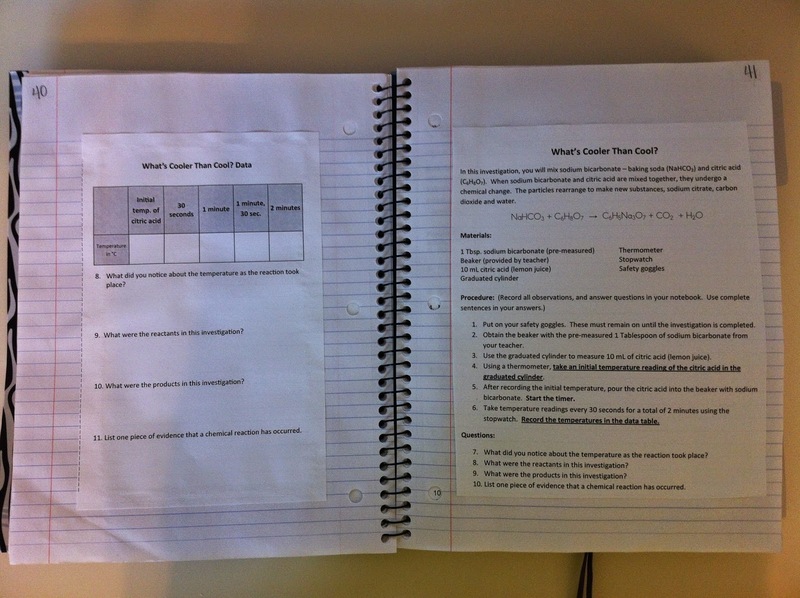 I've used interactive notebooks in the past and took a break from them for the last three years because I got tired of the cutting, gluing and amount of time it took students to get information into the notebook. Shortly thereafter, our district purchased curriculum in which the student has a consumable text in which they are encourage to write IN the book. Another reason, in my mind, not to use interactive notebooks. However, after seeing so many posts on interactive notebooks, I was considering using them again this year. Then I found out last week that my school did not purchase the consumable text for next year - only class sets. That was the push I needed to go "all-in" with interactive notebooks again. Thanks so much for the refresher. LOVE the idea of the rubber band because you're right in that those notebooks get bulky! Also, liked your idea about not letting the students go to another page (that was always a problem I had before). Any suggestions about how to train my 7th graders to quickly AND efficiently get the product into the notebook? I've tried timers and verbal reminders, pre-cutting pages for the notebook, and using warm-up time to get the T.O.C. up to date. Just find that students want to chat while gluing and while I love them, they just can't do two things at once! Suggestions are appreciated! I don't use the textbook very much at all. To me it is just a resource that students can reference when they need to. But, my school got the consumable textbook this year, so I've been trying to think about ways that I can incorporate it into what I already do. I've decided that on occasion, I will have students cut out a paragraph or two of information that I want them to know and glue in onto the right (INput) side of their notebooks. This will be a nice change from taking notes and it will give them a chance to do some more technical reading (which is something I decided to start doing more of last year). As far as the time wasted cutting, I TOTALLY agree with you. On days that we are using flippables or foldables in class, my students will come in and immediately get started on cutting out the materials we need for the day, instead of doing a typical warm-up or bell ringer. In the first week of school, I set up that the expectation is that they will never just come into my class and start socializing - there will ALWAYS be something that they need to get started on. I also emphasize that if it's a typical warm-up, there is no talking or partner work. If we are cutting or gluing, you can ONLY talk if you are simultaneously working. "If you can't work and talk, then you can't talk." I also get my early finishers to go find someone else to help, which takes care of the slow cutters/gluers. You'll also notice that most of my notebook products have straight lines and are pretty simplistic for the most part. I've found that all of those super cute foldables look really nice, but take forever for the students to cut out and assemble. And to me, the important part is not really the foldable or assembling it, but the information inside of it. So, I tend to stay away from the difficult or fancy foldables for this reason. This is genius!! I have tried to figure out how in the world to incorporate the consumable textbooks. But when one lesson is 10-11 pages and we are expected to do two or three lessons a week (with students reading on 2nd and 3rd grade level), I am just not good at it. I love the idea of cutting out important sections from their textbook and doing close reading, vocab, etc. Thanks for the great idea!! I love the vocabulary cards! You can definitely get a good number of words on a page. Quick question. About how long on average does it take you to glue in card sorts? This year our school has gone from 90 minutes to 75 and I sent each minute to be valuable. Thanks for your help. P.S. I also teach 8th grade science in Texas. Best of luck with STAAR! I feel like I'm one of the rare ones that uses a 3 ring binder for my interactive notebooks. Thanks for sharing the video - it gave me a lot of great ideas! I've put the 6*9 envelopes on my to-buy list! 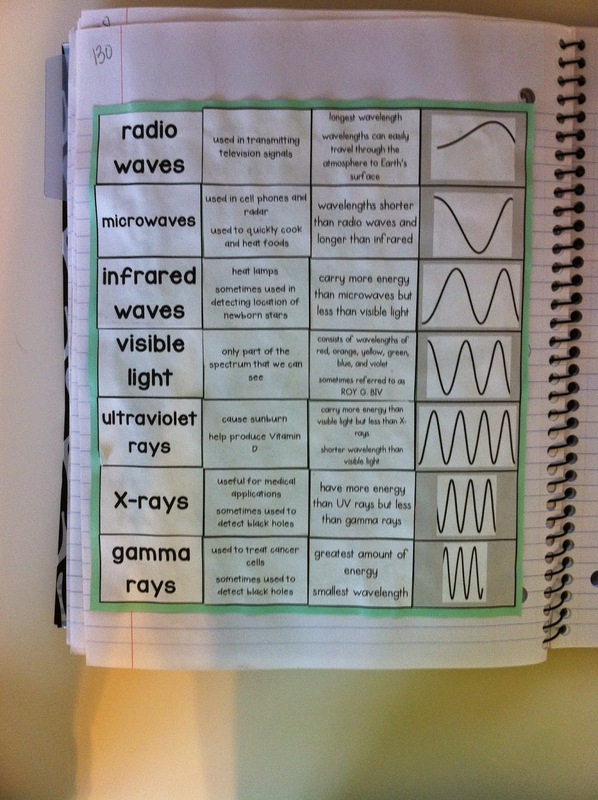 These are such inspirational ideas to make better use of our notebooks. I had a tip to add. 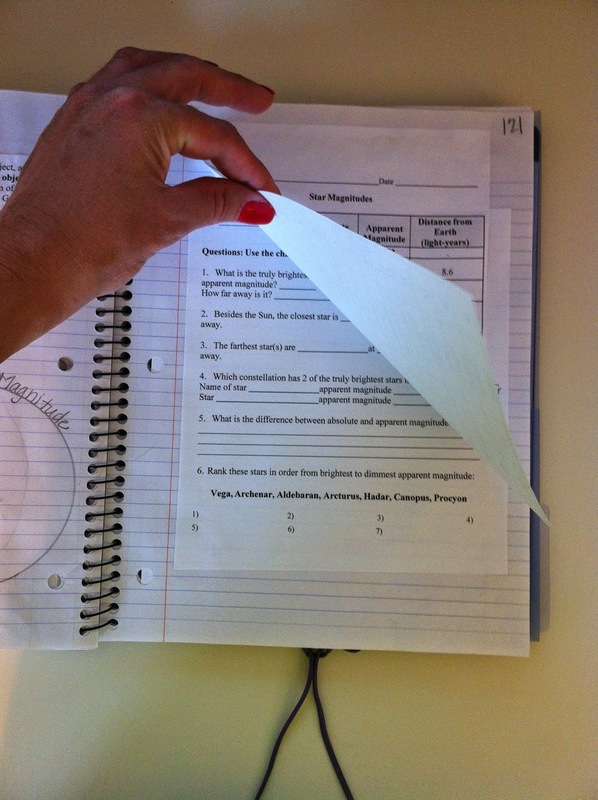 I started to give each student a piece of wax paper to keep their notebook sheets from sticking together while they dry. They can keep the wax paper in the back of their notebook to be reused each time they glue in their notebook. So many good ideas - thank you! A question about the cell pals. I like the idea of giving the students an opportunity to pair up periodically with a student they choose. How does that get set up? Hi , What program do u use to create your worksheets and letter to parents? Hi, what website do u use to create your worksheets and your parent letter?